Learn English from highly qualified, experienced instructors and enjoy U.S. culture in a safe, student-friendly environment. Courses are taught using themes that are relevant in U.S. culture. The themes are connected in all classes: reading, writing, listening, speaking, and grammar. Class materials come from the same sources U.S. students use: college textbooks, novels, magazines, newspapers, journals, the Internet, and current videos. Because of the diverse nationalities, English is likely to be the only language everyone has in common—so everyone speaks English in class. Our program focuses on communicative English, not repetitive drills. 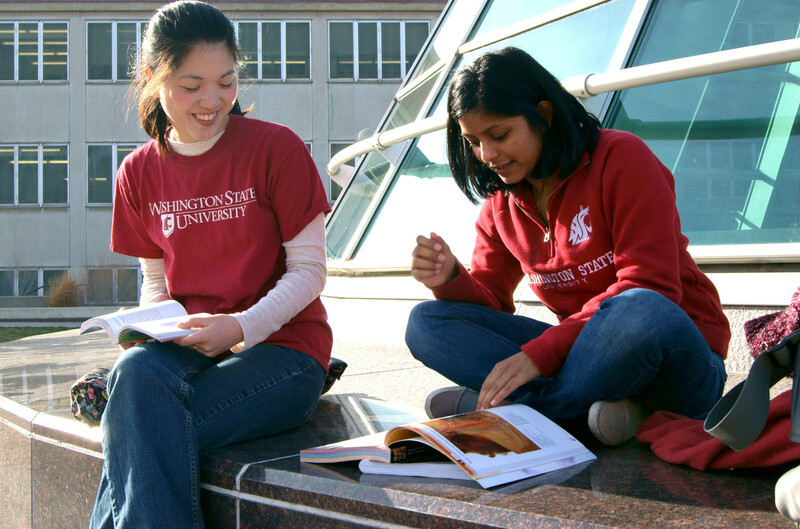 The Washington State University Intensive American Language Center (IALC) facilitates Academic English and pathway programs on behalf of INTO Washington State University. Programs are offered for both undergraduate and graduate students and designed to help you through your first year of study at WSU. Our pathway programs are one to three semesters in length and combine intensive English language study, academic skills and development, and academic coursework in a customized program that gives you the skills you need to succeed. Completion of the INTO WSU Academic English or a pathway program will allow you to transition to a degree-seeking programs at WSU Pullman or any WSU campus that offers your intended degree program. You may apply online or download an application. Washington State University now offers its Intensive American Language Center (IALC) at our Tri-Cities location. Our intensive English program offers five, eight-week sessions per year and provides content based English for academic purposes and instruction to assist students in building their English language proficiency. Completion of Level 5 satisfies the English Language Proficiency Requirement needed to matriculate into an undergraduate degree program and completion of Level 6 satisfies this requirement for most graduate degree programs. Completion of the Tri-Cities IALC program allows students to transition to degree-seeking programs at WSU Tri-Cities or any WSU campus that offers your intended degree program. WSU Tri-Cities emphasizes the polytechnic (learning while doing) approach to educating students while focusing on the STEM disciplines (science, technology, engineering, and math) and professional schools within the liberal arts and social sciences disciplines. If you would like information about attending the Intensive American Language Center at Washington State University, we will be happy to assist you. The IALC is accredited by the Commission on English Language Program Accreditation (CEA) and is a member of English USA. Accreditation by CEA signifies that an English language program has met U.S. Department of Education standards and ensures that the faculty, curriculum, standards, and services will be of the highest quality. English USA is the leading professional association of intensive English programs in the USA. The 330 member programs of English USA are committed to quality teaching and student services.